The American Quarter horse is bread for its 'cow sense' or natural ability to work livestock. Here, the horse is cutting an individual calf from the herd so it can be vaccinated and branded by the cowboy. 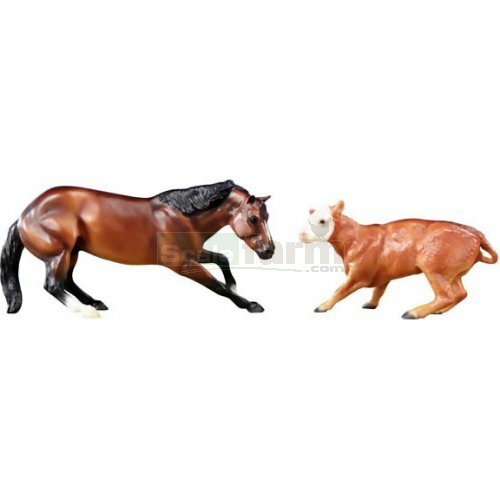 Set contains one horse and one calf.